Last week I presented in front of LT at my school to gain funding for some iPads in my faculty. Below is my presentation. 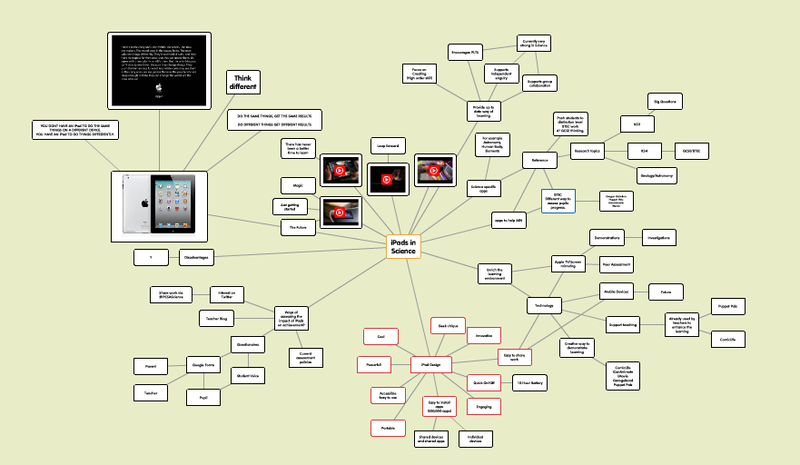 A vary large and detailed mindmap which I presented from. Some may thing it is messy and confusing, but it did the job and we are now awaiting the delivery of the iPads. Later on I will let you know a little more about the website I used to generate this and how I use it in the classroom. Posted on November 6, 2011, in Apps, Science Apps. Bookmark the permalink. 1 Comment. That’s great news Gavin – congratulations! Great use of Popplet too. A brilliant tool.